Robocop is a 1987 film directed by Paul Verhoeven, in his first major Hollywood production and was produced by Arne Schmidt. The screenplay was co-written by Edward Neumeier and Michael Miner. The novel, released around the same time as Robocop and written by Ed Naha, differed in several ways from the film as it followed one of the earlier drafts of the screenplay. It expanded on Alex Murphy’s struggle with being part man and part machine, and his memories. 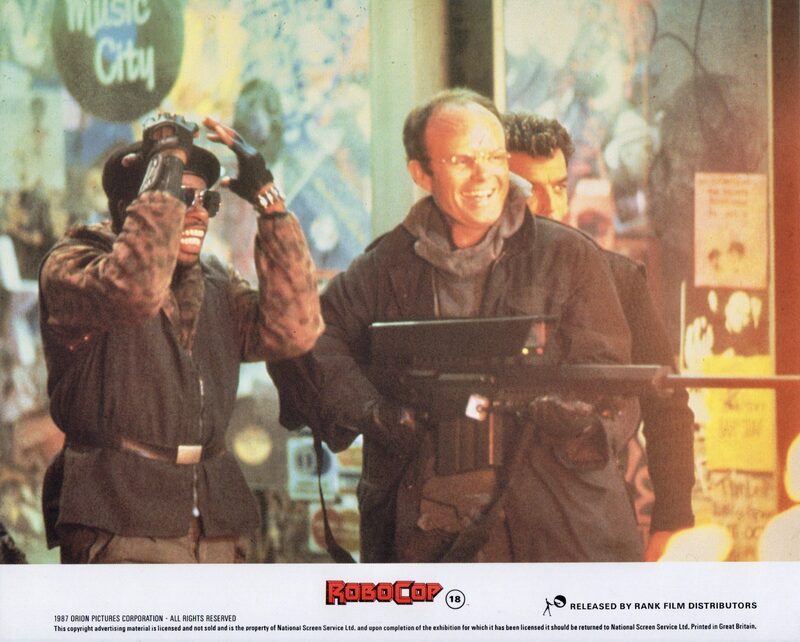 It also included more “humanised” dialogue from RoboCop, as opposed to the minimal, cold dialogue heard in the film. 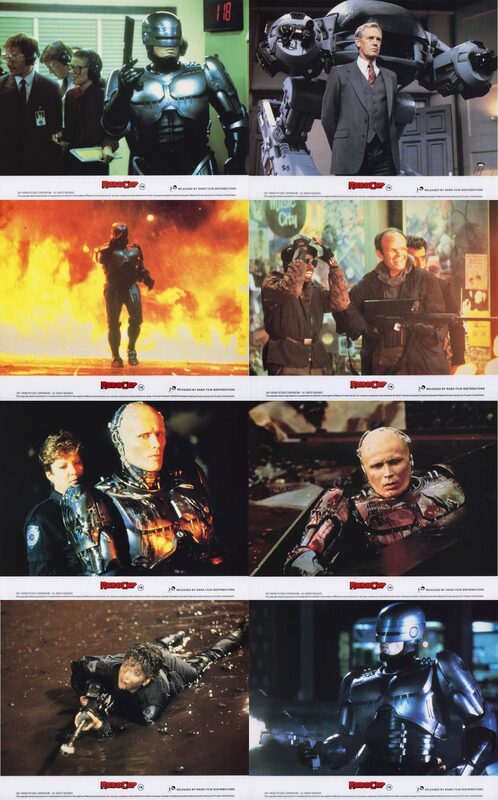 Robocop stars Peter Weller, Nancy Allen, Daniel O’Herlihy, Ronny Cox, Kurtwood Smith, Miguel Ferrer, Robert DoQui, Ray Wise, Felton Perry and Paul McCrane. The storyline is set in a crime-ridden Detroit, Michigan in the near future. 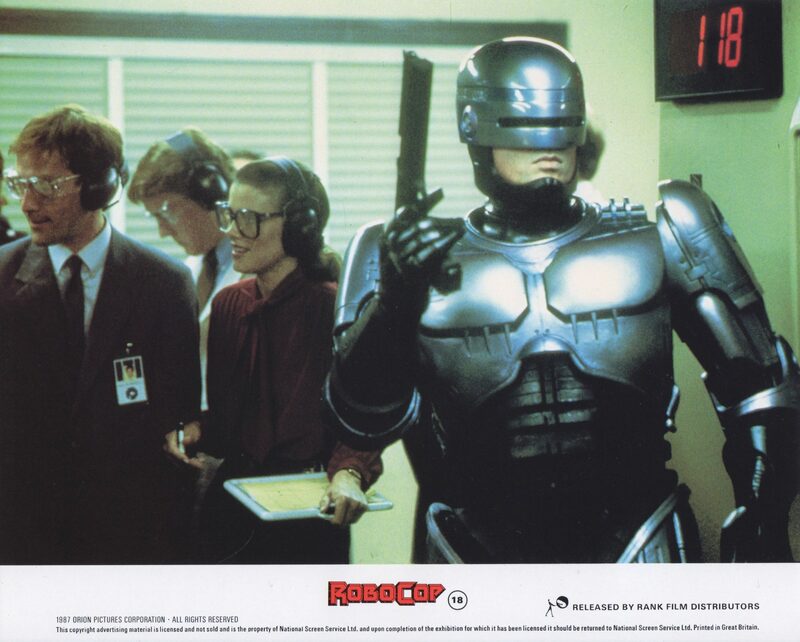 RoboCop centres on police officer Alex Murphy who is murdered by a gang of criminals and subsequently revived by the megacorporation Omni Consumer Products (OCP) as a superhuman cyborg law enforcer known as RoboCop. His is haunted by his past memories and becomes a target of supervillian Clarence J. Boddicker. 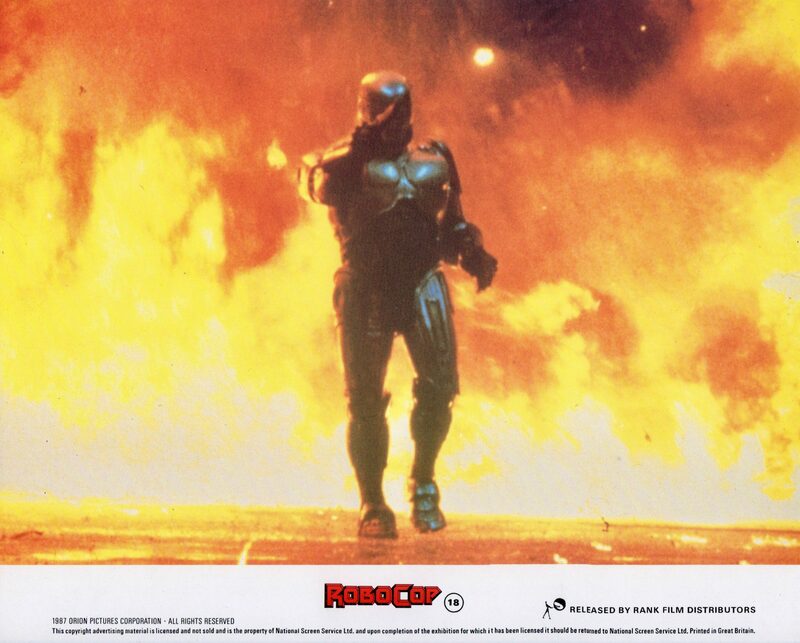 The concept for Robocop first came about when Edward Neumeier walked past a poster for Blade Runner. He asked his friend was the film was about and was told, “It’s about a cop hunting robots”. 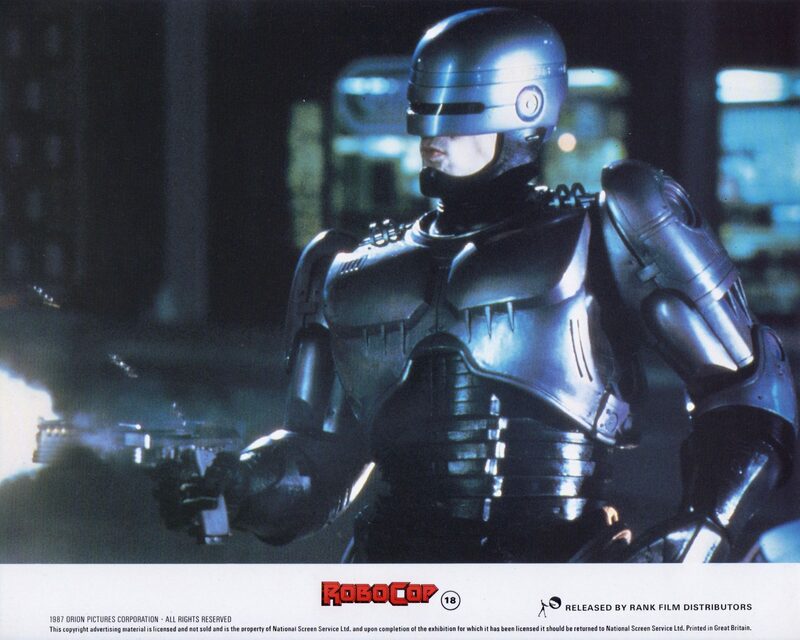 The character of RoboCop is alleged to be inspired by British comic book hero Judge Dredd, as well as the Japanese toku series Space Sheriff Gavan and the Marvel Comics superhero Rom. During the film a Rom comic book appears during the convenience store robbery and in a flashback of Murphy’s son. Originally, Paul Verhoeven had wanted either Arnold Schwarzenegger or Rutger Hauer to play the role of Robocop, however their large body frames would have made it difficult for them to move in the Robocop outfit. 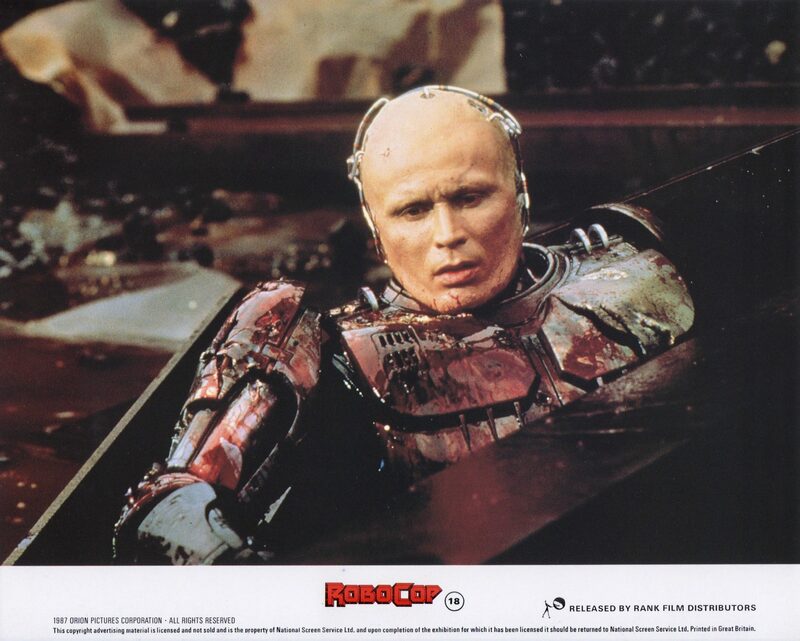 Peter Weller won the role as Paul Verhoeven felt that he could adequately the required emotions in his lower face and his body frame was smaller which enabled movement in the suit. Principle photography was completed in the urban setting of Dallas, Texas. The futuristic appearances of the Dallas buildings, such as Reunion Tower, are visible in the background during the car chase. The front of Dallas City Hall was used as the exterior for the fictional OCP Headquarters, combined with extensive matte paintings to make the building appear taller than it actually is. Additional filming was completed at Wheeling-Pittsburgh Steel’s Monessen Works, in the Pittsburgh suburb of Monessen, Pennsylvania. Robocop was originally given an ‘X’ rating by the Motion Picture Association of America (MPAA) in 1987 due to its graphic violence. 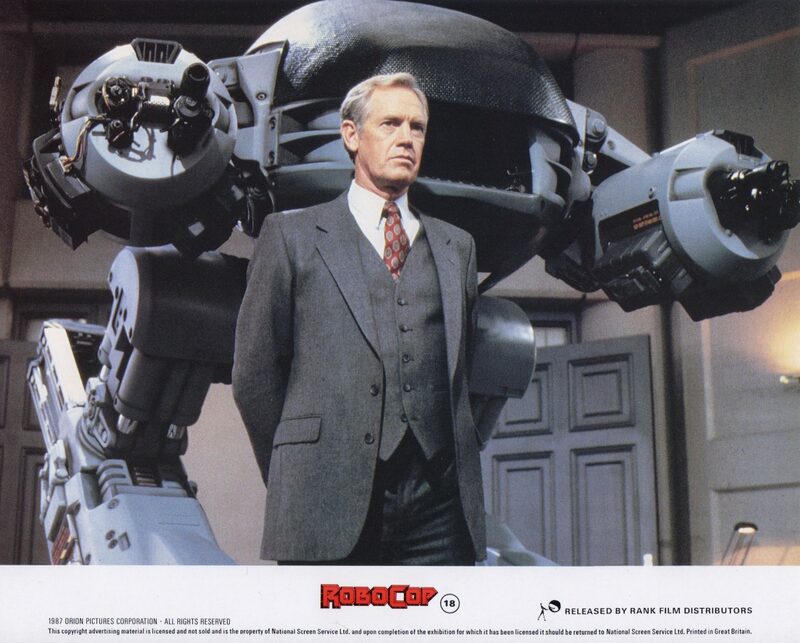 In order to appease the ratings board, Paul Verhoeven made several cuts to the film, including ED-209’s shooting of Kinney in the boardroom, Bobby being shot in the leg, the Boddicker gang’s execution of Murphy with shotguns, and the final battle with Boddicker (in which RoboCop stabs him in the neck with his neural spike and Boddicker’s blood spatters onto RoboCop’s chest). He also added humorous commercials throughout the news broadcasts to lighten the mood and distract from the violent aspects of the movie (most of the commercials satirize various aspects of the American consumer culture, such as the commercial for the 6000 SUX sedan). The film was reviewed eleven times before finally being awarded an ‘R’ rating. It wasn’t until 2005 with the release of trilogy boxset that the film was released in its original uncut format. 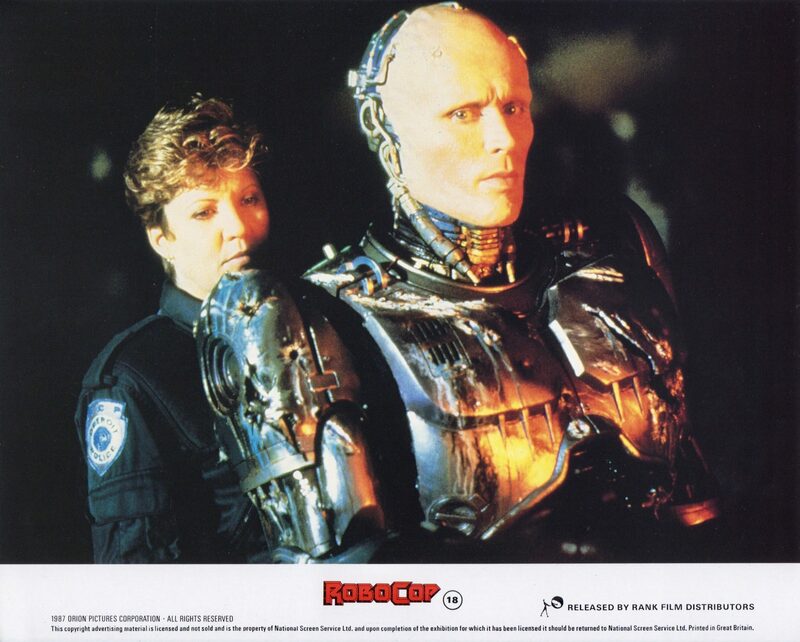 When Robocop was released it received positive reviews from the critics and audiences alike. On Rotten Tomatoes it currently holds a rating of 88% with the general consensus being, “While over-the-top and gory, Robocop is also a surprisingly smart sci-fi flick that uses ultraviolence to disguise its satire of American culture”. 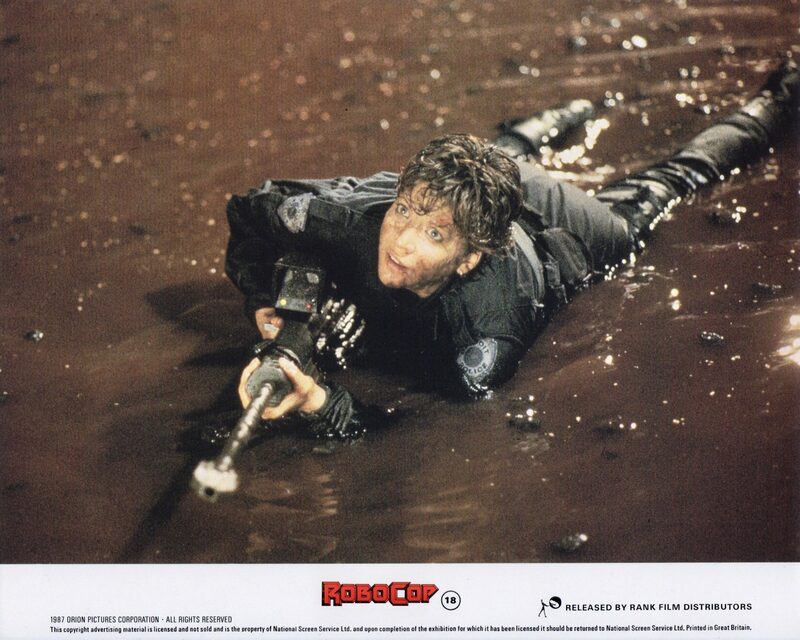 Roger Ebert praised the film, calling RoboCop “a thriller with a difference,” praising the way it puts the audience off-guard, and calling it a thriller not easily categorised with splashes of other genres added. Roger Ebert praised Peter Weller for his performance and his ability to elicit sympathy despite the layers of makeup and prosthetics. Commercially, Robocop was a huge box office success. Having been produced with an estimated production budget of $13m. In its opening weekend, it took $8,008,721 at the US box office and has taken $53,356,612 in total US box office receipts.